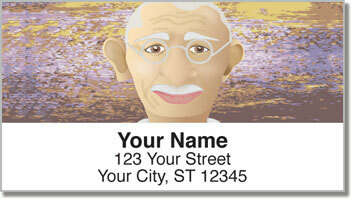 Gandhi means much to the nation of India, but he is also a hero world-wide for teaching us all about peaceful protest. Mahatma Gandhi was a rebel with a cause. His acts of civil disobedience were inspirational. His outlook on how to live life was groundbreaking. 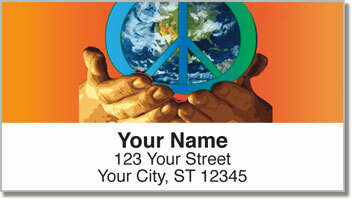 Be reminded of this important figure in the story of humankind every time you send out letters and packages. 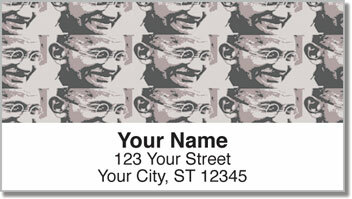 The unique design features portraits of Gandhi and images portraying his mission of freedom for all. You'll be pleasantly surprised at how easy these self-adhesive labels make the task of preparing outgoing mail. All you need to do is stick one on each envelope. 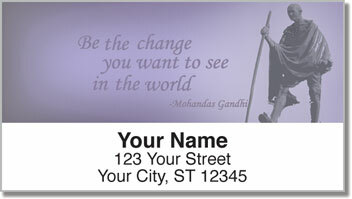 Order your own Gandhi Address Labels today! Get them with a set of matching personal checks.